New Director of Credit Services at the Grace Brethren Investment Foundation, Ryan Bowells, and his wife, Sharmion, and children, Cameron, Austin, Madeline, and Aidan. Ryan Bowell has been named to the position of director of credit services, at the Grace Brethren Investment Foundation (GBIF), effective July 1, 2013. Ryan comes to the GBIF as a seasoned business professional with a strong background in strategic planning and the ability to work within multiple levels of an organization. Ryan will primarily provide oversight to the loan function of the GBIF, as well as provide support for other areas of ministry. Ryan most recently was employed by Encompass World Partners as the Director of Finance from 2007 – 2012, following his promotion as Controller from 1998 – 2007. Prior to this role, Ryan served as an adjunct professor for Grace College and as a staff accountant for Owens & Co.
Ryan holds a B.S. in business administration and a B.S. in accounting from Grace College, Winona Lake, Ind, and received his CPA license in 1997. Ryan and his wife, Sharmion, reside in Warsaw, Ind, and attend the Community Grace Brethren Church of Warsaw. 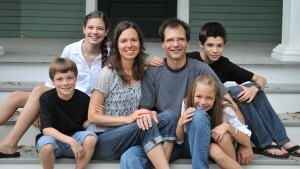 They have four children, Cameron, Austin, Madeline, and Aidan. Located in Winona Lake, Ind., the Grace Brethren Investment Foundation provides affordable mortgage financing for growing churches and ministry organizations affiliated with the Fellowship of Grace Brethren Churches. This story first appeared in the weekly GraceConnect eNews. To subscribe to the newsletter, click on the orange box in the upper right of this page.